Manchester United will be disappointed that they lost 3-1 to Manchester City on Sunday. No one expected the derby to be an easy affair at the Etihad, but the visitors’ recent comeback heroics did leave plenty of hope up for grabs. 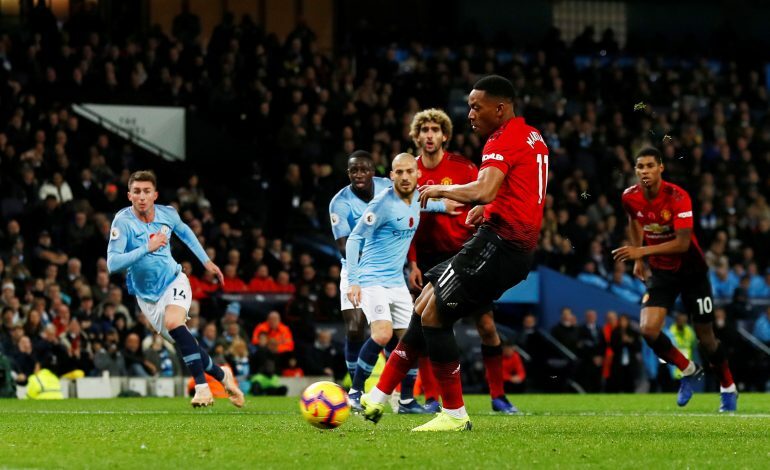 However, that was not to be, with David Silva and Sergio Aguero giving the Sky Blues their opening goals before an Ederson mistake cost the home side a penalty goal from in-form forward Anthony Martial. In the minutes following the penalty, United did show hints of passion, but substitute Ilkay Gundogan swiftly netted the goal that would be City’s winner. Apart from being disappointed with the team for a weak showing, fans were also quite furious with two players in particular for their antics off the pitch. When the Red Devils were 1-0 down towards the end of half-time, cameras panned to the United bench to show Alexis Sanchez and Juan Mata sharing a joke and laughing profusely. Quite predictably, this didn’t sit well with most supporters, who took to Twitter to lash out in anger against the duo. Some even speculated that perhaps they were laughing at the poor manner in which United were functioning against a City side that was repeatedly getting the better of them. Incidentally, it was these two that Mourinho subbed on after Romelu Lukaku, with hopes of engineering the kind of comebacks that have been quite common for the Red Devils lately. However, that was not to be, with Martial’s penalty kick being the side’s sole shot on target in the entire game, which states the tale of pathos quite well. Mata was instrumental in their win against Juventus mid-week, but remains in doubt for a long-term contract with the club. Sanchez, on the other hand, hasn’t proven to be the player supporters hoped the no.7 to be, having scored just 4 goals since his arrival at Old Trafford.